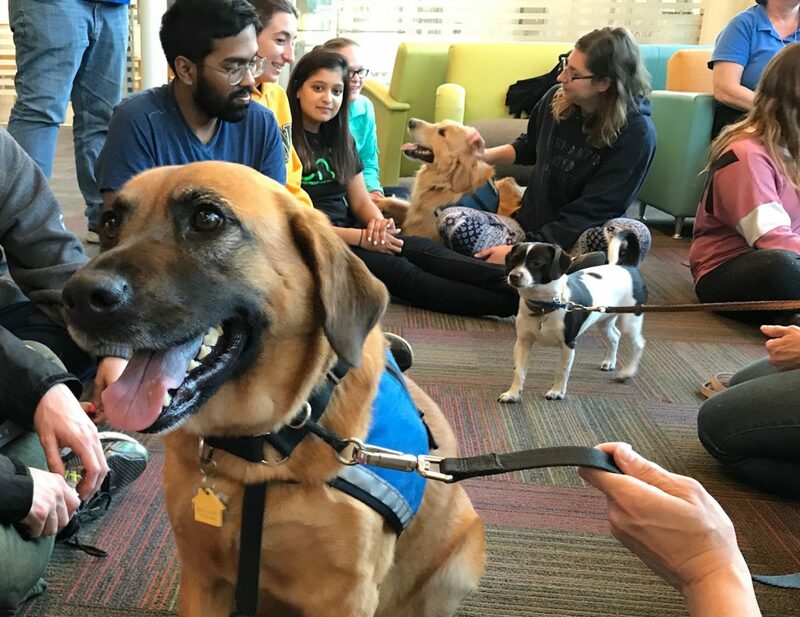 In case you missed last week’s visit from the therapy dogs Chip, Lucy, Jesse, and Hans, here they are again to get you through that last bout of finals. A great big thanks to CAPS and their PALS program and our partners at Southampton Student Life. But most of all, to the dogs and their dedicated handlers.